In all, 73 percent of older workers — age 55 to 64 — have defined-contribution plans, such as 401(k) plans and IRAs, and/or defined-benefit plans, such as employer-provided pensions, according to a 2015 report the Government Accountability Office produced at the request of the senator. Sanders, a Vermont independent, ran a populist campaign for president in 2016, before losing the Democratic nomination to former Secretary of State Hillary Clinton. 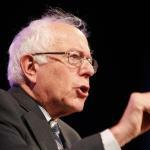 He is considering running again for the Democratic presidential nomination. The senator tweeted about retirement savings over the weekend. Today, in America, more than half of older workers have no retirement savings – zero. That is unacceptable. We must create an economy that works for all of us, not just the wealthy few. Josh Miller-Lewis, a spokesman for the senator, said the tweet was in error. “We meant to write ‘more than half of older Americans’ not workers,” he said. The senator’s Twitter feed, which is maintained by his staff, now includes a correction, added after we contacted the senator’s staff about the claim. Table 1 of the GAO report shows that 41 percent of “households age 55 to 64” have no “retirement savings,” but 32 percent of them have a defined-benefit plan. “Perhaps of greatest concern are the 27 percent of all households age 55-64 that have neither retirement savings nor a DB plan,” the report said, meaning that 73 percent have one or both types of retirement assets. GAO’s report was based on the 2013 Survey of Consumer Finances, which is conducted every three years by the Board of Governors of the Federal Reserve System. The Fed’s 2016 survey is the most recent available. Little has changed since then for those nearing retirement (55 to 64), but there has been improvement for those 65 and older. For those 65 and older, the Fed report shows an increase in the percentage of those with “retirement accounts,” particularly for older Americans. It went up from 48 percent in 2013 to 49.8 in 2016 for those between the ages of 65 and 74, and jumped from 29 percent to 40.8 percent for those 75 and older. Sanders’ point is well taken: The GAO report shows that a substantial portion of older workers have little or no savings, and the percentage of employers providing pension plans has been decreasing. The GAO report, citing the Department of Labor, said that about 75 percent of private-sector workers had pension plans in 1975. As of March 2017, only 18 percent of private-sector employees had access to employer-provided defined-benefit plans, according to the department’s Bureau of Labor Statistics. But 59 percent of workers nearing retirement have some retirement accounts, and, in all, 73 percent of them have assets in either defined-contribution plans, such as 401(k)s and IRAs, or in defined-benefit plans, such as pensions. "More than half of older workers have no retirement savings – zero."